You may have heard the expression: “If you want to know whether you’re an effective leader … look over your shoulder. Are people following you?” There is some merit to asking yourself whether others have chosen you as a leader (it’s not the other way around). But leadership is not about having followers, per se. It’s about impacting others. Inspiring them to do great things. Empowering them to lead. Leadership is not about your job title or your position in a company. It’s not something that’s awarded to you. It’s also not about telling other people what to do … issuing orders. Rather, it’s about impact. It’s about inspiration. It’s about empowerment. And that has to be earned … one person at a time. No organizational title in the world, no authority, no amount of book learning or education, can make you a leader. Join the many other executive who have grown personally and their business to the next level of excellence Schedule a private Leadership Development session with Mike Cobb. Our past experiences, good and bad, influence our beliefs and assumptions, the way we look at the world, the basis on which we make decisions. Some of these influences are rational and some aren’t. But that’s not the point. The point is that they are very real for each of us. Good leaders know how to tap into these underpinnings to understand where each person, and each institution, is coming from. Without this insight you’re operating in a vacuum. Likewise, the past must be put in perspective and not accepted as gospel. What this means, fundamentally, is that we must understand which past experiences and traditions that we should keep, which should be rediscovered or reinforced, and which should be abandoned. These principles apply as much to institutions as they do to individuals. In other words, organizations have histories and traditions, good and bad, that shape institutional thinking. Understanding these histories and traditions is critical to good leadership and effective change management. Several years ago I had the opportunity to help facilitate a change management initiative for a large US government agency. One of their challenges was streamlining the process of rolling out new initiatives (all of which, by the way, required Congressional approval, a daunting task by any standard). The established assumption throughout the organization was that very little could be done to change the situation because of factors outside the decision makers’ control. By helping leadership understand that their assumptions were largely shaped by history and tradition, and by working with them to delineate between those aspects of their historical underpinnings that should be discarded, those that should be kept and those that should be reframed, we were able to reduce time-to-market for new initiatives from years to months. To what extent does institutional history and tradition shape the assumptions you make as a leader? How does it influence institutional thinking? How might these assumptions hold you back? How could better understanding your history enable breakthrough changes for you and for your company? “Facts tell. Emotions sell.” Each of us likes to think we’re rational, analytical beings. But the fact is that emotion, more than logic, drives so many of our decisions. It also drives our responses to others. People remember you not for what you know, or what you tell them, or who you are. They remember you for how you make them feel. This is what tapping into people’s emotional drivers is all about. Good leaders know how to leverage people’s feelings as a key influencer. Fundamentally, good leadership is about inspiration. 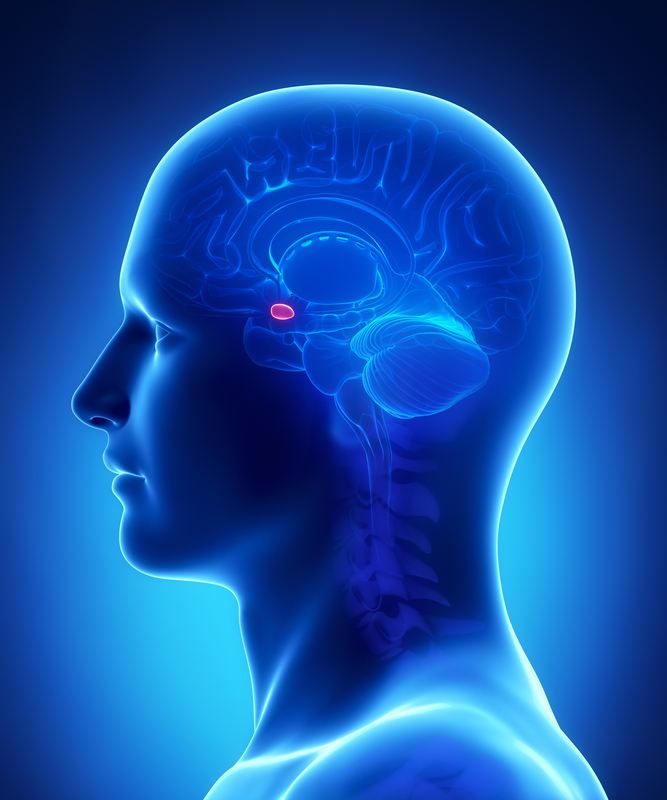 It’s about tapping into those parts of the brain, like the striatum and the amygdala, that control our emotional responses to the people and situations around us. This doesn’t mean that intelligent decision-making and critical thinking, those functions controlled by the frontal cortex, are not vital to human interaction and performance in any organization. They obviously are. Understanding the interplay between cognition and emotion is a key component of cognitive psychology. But at the end of the day the ability to tap into people’s emotional drivers, to inspire rather than inform, will make the difference between a great leader and an OK leader. Think about a time when you were able to move beyond the facts of a given situation and appeal to the emotional drivers of someone you were dealing with in your organization. How did it feel? Were you able to influence that person more effectively than if you had just “stuck to the facts”? What did that experience teach you about the relationship between emotion and influence? How can you use that learning to become a better leader? 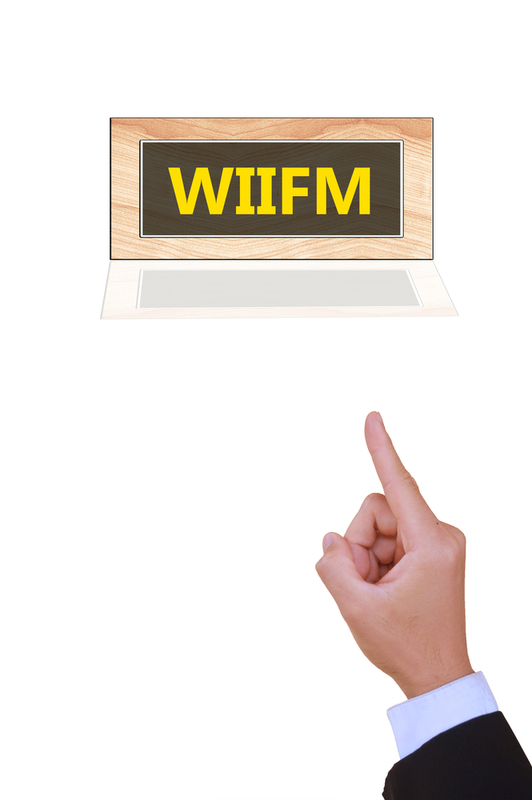 My favorite radio station is “WIIFM” … and I suspect it’s yours too. “What’s In It For Me”. It’s the oldest station in the world. If people understand why it’s in their best interest to embrace change, they will. If not, no amount of coercion will change them. It’s pretty simple … tap into people’s self-interest and they will rally behind your leadership with open arms. People are not naturally averse to change. They just need to know how it will benefit them. Good leaders understand this. Usually, the greatest perceived benefit is internal, not external. People want to do a good job. They want to feel they make a difference, to be empowered to take responsibility for what they do and be recognized for their work. 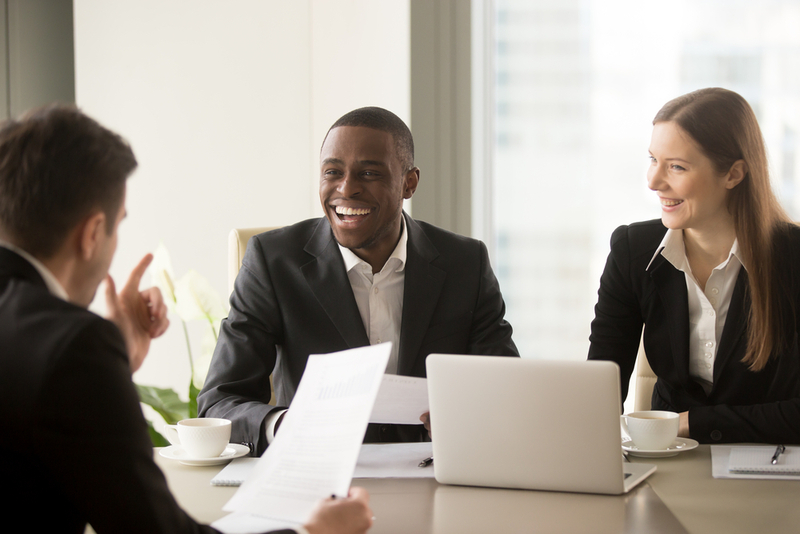 These factors far outweigh external benefits such as monetary compensation or a corner office. All of this is not to discount the role of altruism, helping and showing consideration for others, and the “give and take” of working on collaborative teams. These qualities are highly important. At a primal level they reveal themselves in each of us by how they make us feel, by appealing to our sense of self-interest, even if that self-interest involves the satisfaction or recognition that comes from helping others. Imagine the challenge of going into a large, bureaucratic union shop and leading a change initiative, from the top leadership through middle management and the rank-and-file. The goal was to increase efficiency, drive throughput and reduce costs. I have vivid memories of walking into the first day of a change management engagement. I encountered a room full of skeptics, the most vocal being the union steward, arms crossed, with a “you’re not going to change me” attitude. The sentiment among most people in the room that morning was one of fear … fear of losing jobs, fear of wage stagnation, fear of having to work harder … in a nutshell, fear of change. Those fears, however, were accompanied by an institutionalized sense of non-control and non-empowerment. The prevailing attitude was “do my eight and hit the gate”. And I got it. I understood their concerns. I understood the environment that had shaped a collective mindset and, hence, a collective behavior on the job (and likely off the job … frustrations at work are rarely left at work). 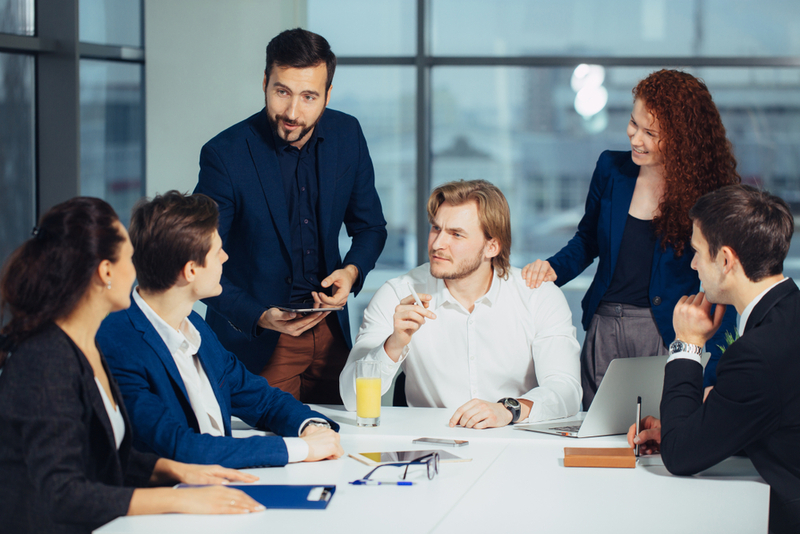 The fact is that the organization’s leaders had never worked with middle management, the rank-and-file and, equally importantly, the union leadership, to help them understand why it was in their best interest to change. People want to do a good job. They want to make a difference. They want to be able to assess their own performance, as opposed to someone else telling them how they’re doing. They want to have control over their work. And they want to be recognized for a job well-done. At the end of the day, that’s what’s in it for them, much more so that external factors. And as we worked with them, as we helped them understand how much better their lives would be, how empowered they could become to control their day-to-day activities, they embraced change … to a person. In fact, the union steward became one of the greatest advocates for change. The upshot of all of this is that efficiency increased by over 20%, cycle times were reduced by almost 50% and the employees were fulfilled every day when they went to work in a way they never had been … and the added benefit is that the organization has sustained and built on these changes to become even better. Do you take the time to understand the self-motivators of those people around you, at work or, for that matter, in your personal life? Everyone is different. And everyone is motivated by different things. How can you use the WIIFM of each individual, one person at a time, to enhance your influence as a leader? One of the greatest demotivators is to focus on things that people have no control or influence over. This can be an exercise in futility and can lead you nowhere. Those you are trying to influence will get frustrated because they feel powerless. You will become frustrated in the process and your efforts at leadership will falter. However, this doesn’t mean you should accept the status quo. 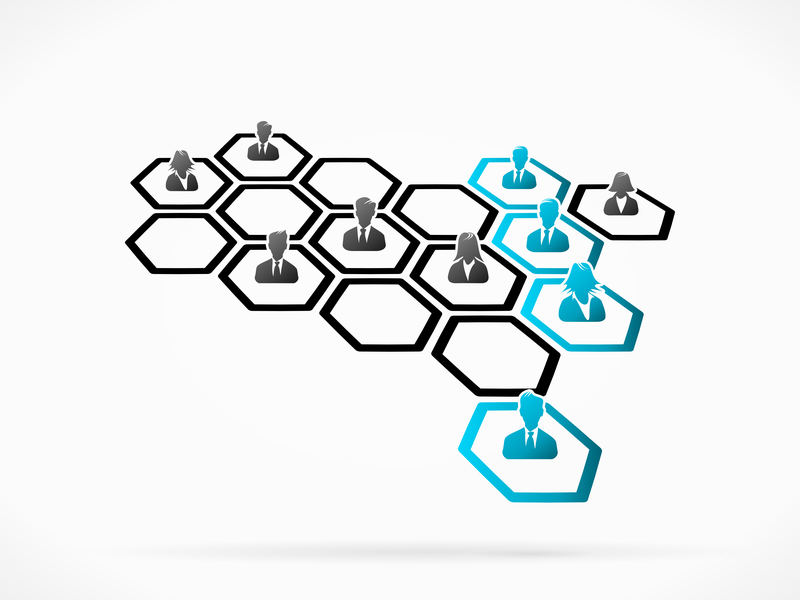 Empowering your team to increase their influence and responsibility is hugely important. Nudging people outside of their comfort zones in a way that they don’t feel unduly threatened (remember the amygdala). Giving them the freedom to stretch their boundaries, to take calculated risks, will enable them to enhance their influence and control. And they will be more fulfilled as a result. People need to be given the opportunity to clearly understand what factors make the difference between poor, average and above-average performance. They should be empowered to take direct control over those factors. By providing them with the tools to effectively measure personal performance rather than relying on management to tell them how they’re doing. They will be more fulfilled and will far outperform their peers who do not enjoy these advantages. Visual management is a highly effective leadership tool. One component of visual management is the display of charts, metrics and performance data to show how the workers in the immediate vicinity are performing against a set of standards. The display can be handwritten or electronic. This can be a powerful tool if used right. However, there are many examples of attempts at visual management that, while well-intentioned, fall far short of achieving their objectives. This is often because the intended audience cannot relate to what is being presented. I worked on an engagement in a manufacturing facility once where the company’s leadership had obviously spent a lot of money to install fancy electronic visual management boards. They displayed various performance metrics. The boards were prominently displayed so the workers in the vicinity could look up at them during the course of their work day. They were pretty … but they were ineffective … for two reasons. First, the boards displayed information that the workers had absolutely no direct control over (such things as overall company sales and profitability) as opposed to things they could control directly (such as number of units produced per hour in their department and first pass yield). Second, the most effective visual management boards are ones that the employees fill out themselves, rather than someone else doing it. In other words, the employees are empowered to measure their own performance against a set of standards and to tell their management how they’re doing, rather than the other way around. Empowering people to take charge, measure and communicate their own performance, through self-management and self-accountability, is critical to effective leadership. Change the visual management protocols so people can relate to them … and have direct control over the information they convey … and performance will improve. But good leaders don’t stop there. They also empower people to increase their influence and control. Let’s return briefly to the large US government agency I discussed earlier. They believed they could not achieve their goal, to roll out new initiatives faster, because they had no control over the situation. They were dependent on the bureaucratic discretion of “higher ups”. It was “out of their hands”. This was the mindset that had dictated their behavior almost since the agency’s inception. But by increasing their control over the situation (in part by demonstrating that they could deliver the necessary processes and quality to ensure rollout success) they were able to take charge of something they had previously seen as being out of their control. By doing this, they achieved their ultimate goal. Empower people to increase their influence and responsibility and, with the right metrics, accountabilities and rewards in place, they will excel. In what ways do you help the people around you enhance their influence, control and responsibility? What are some examples you’ve seen of people becoming more fulfilled in their jobs, excelling at what they do, and growing as a result of self-management, self-accountability and empowerment? How can you use these insights to become a better leader? Numerous studies have shown that people respond much more effectively to positive, rather than negative, messages. Stress the positive wherever possible. This doesn’t mean sugar-coating information. Rather it means that it’s much more effective to convey uplifting information whenever you can. Information that will inspire rather than frighten, intimidate or discourage. One of my first jobs out of graduate school was leading a product development initiative for a large chemical company. Our biggest target market was the automotive industry, where the benefits of successful product introduction were significant … and so were the challenges. My boss, I’m sad to say, had a history of managing by intimidation and fear. I’ll never forget an opportunity that arose to do a plant trial with one of the “big three” car makers (this was in the early eighties, when the industry was still dominated by General Motors, Ford and Chrysler, and Japan was only beginning to be perceived as a “real” threat). When my boss came to me early one morning to tell me about the opportunity, he walked into my office, towered over me (he was almost seven feet tall) and uttered four words: “don’t drop the ball”. This was typical of the message conveyed by him in dealing with challenges. He stressed the negative rather than the positive. And fresh out of school, I knew next to nothing about leadership, so what did I do? I telegraphed that same negative management style onto my direct reports. “Don’t drop the ball.” Those four words set the framework for a negative mindset that, far short of inspiring others to greatness, can have significant negative consequences. It wasn’t until a couple of years later, when I was heading up operations for another company, that I learned the power of positive leadership. I “shook off” an adapted, negative management style and learned to lead by positively inspiring others around me (and myself) to greatness. Together, we grew the company to be a dominant player in its industry throughout the world. I don’t think we could have done it without that positive mindset. But back to the chemical company for a moment. It is worth noting that my boss there was not a leader. And he was never able to rise beyond the middle-management position he held when I first joined the company. I believe this was due, in large part, to his management style, which stressed the negative rather than the positive. How are you perceived as a leader? Does your team perceive you as someone who inspire them to dream more, learn more, do more and become more, in the words of John Quincy Adams? Or do they see you as someone who manages by directing, ordering and exercising your authority? How do you positively inspire others to greatness … every day … one person at a time? Effective leaders understand how to “speak to people where they are”. It’s not about you. It’s about the people you want to influence. Live where they are, not where you are. Speak their language, not yours. Walk in their shoes. It’s about empathy. It’s about compassion. It will make all the difference in the world. Empathetic and compassionate leaders promote well-being in others. They lead with their hearts and not their heads. They instill trust and encourage collaboration. They empower. And they produce positive results. I would like to leave you with two examples of highly empathetic leaders, one from before most of us were born and one from the recent past. The first example is not from my personal experience. It’s not even from the business world. It’s from a time and place in history where one man rose above the rest and assumed leadership of over 300 million people. And he was able to do it not because of title or designation. He had none. It was not because of a responsibility that had been bestowed upon him. Quite simply it was because of his empathy and compassion for those around him. That man was Mahatma Gandhi. His is a story we all know too well. And some may argue that is has become overworn. But it is a story so compelling, with inspiration for anyone aspiring to great leadership, that it is worth revisiting. Gandhi was born into a merchant caste family in Gujarat, India in 1869. He studied law in London, was called to the bar at the age of twenty-two, and practiced as a barrister in South Africa for the next twenty-one years. It was there that he formed his views of politics and human rights. He returned to India in 1915 with a mission to campaign for independence from British rule. But he realized that in order to achieve his goal he would have to experience, first-hand, what life was like for the poorest of the poor in his country. So in 1917 he replaced his barrister’s uniform with a loincloth and for the next thirteen years walked in the shoes of peasant farmers, endeavoring to understand their plight, their needs, their aspirations, in a way that he could not have begun to do from afar. It was from this immersion in the lives of others, from an empathy and compassion that to this day we hold up as a model for emulation, that Mahatma Gandhi rose up to lead India to independence. The next example is closer to home in time and place. While perhaps a bit more mundane than leading over 300 million to independence from British rule, is noteworthy nevertheless. It holds a lesson for anyone aspiring to be an empathetic leader. Jim Sinegal began his career as a grocery bagger in 1955. He knew right away that retail was in his blood, and twenty-years later, after stints with several retail companies and as a broker and sales rep, he cofounded Costco. From 1983 until the end of 2011 he was Costco’s president and CEO. After retirement he remained on the board and served as an advisor. While Sinegal is known for shepherding the company through significant revenue increases and a more than doubling of its stock price during his tenure, he is best remembered as a highly empathetic leader. He was a man of the people who traveled to each Costco location every year to spend time with the rank-and-file members of the Costco family, a task most retail leaders at the time relegated to subordinates. He answered his own phone. He had a nondescript office with no walls. He took a salary of $350,000, avowing that he should never be paid more than a total of twelve people working on the warehouse floor. His employment contract was one page long and outlined how he could be terminated for not doing his job. Under Jim Sinegal’s leadership, Costco enjoyed one of the lowest employee turnover rate in retail history. His employees loved him. They still revere him as a legend. No amount of leadership training or preparation, no vested authority or position in any organization, no hard-driving, results-oriented directives from on-high can take the place of this kind of empathetic, compassionate leadership. I like to think that one of the things that made Jim Sinegal such an exceptional leader was his ability to channel his “inner Gandhi”. 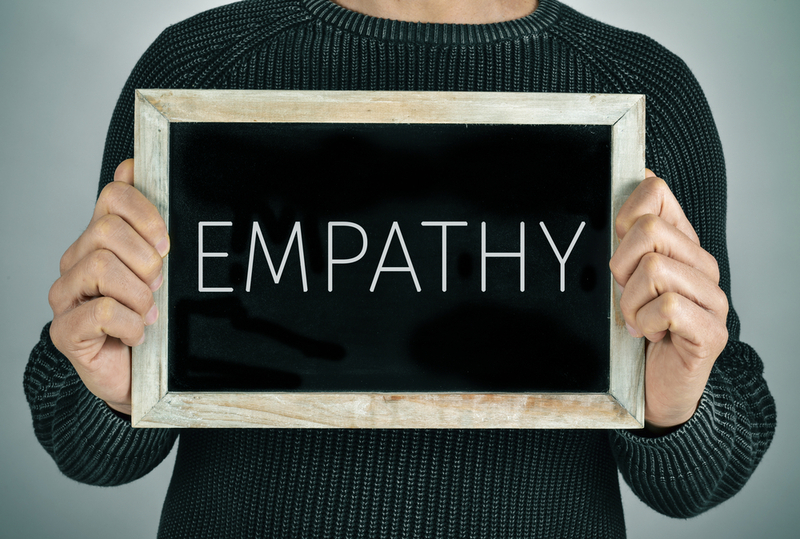 Are you an empathetic leader? Do you strive to understand others’ points of view? To walk in their shoes? How do empathy and compassion make you a better leader? At the end of the day, will those around you remember you for understanding them and their particular needs and perspectives, and endeavoring to relate to them as individuals? Or will they remember you for what they told you to do? Is there an “inner Gandhi” that you can channel to become exceptional? Want to learn more? Please reach out. I’d be delighted to hear from you.